I know what you’re thinking….Long Sleeves, really? Sorry I wore this romper last week while it was still a little cool, but I love it so much that I decided to post about it anyway!! Now that we are in this crazy summer heat wave, it will be all things to keep cool out there!!! 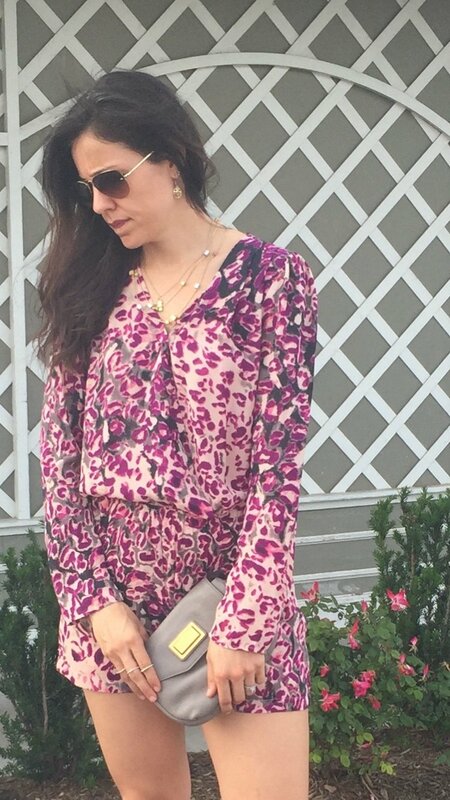 Now, on to the romper….I’m so glad rompers and jumpsuits have really stuck over the last couple of years. I have several more (summer versions, that is!) you will see in the near future because they make my life so EASY! Getting ready means putting on the one-piece outfit, a few pieces of jewelry and some shoes. Speaking of shoes, these Franco Sarto booties have been on extreme repeat lately, but they are seriously one of the most comfortable shoes I own, especially one with a heel!